This coffee will be fresh roasted for you. 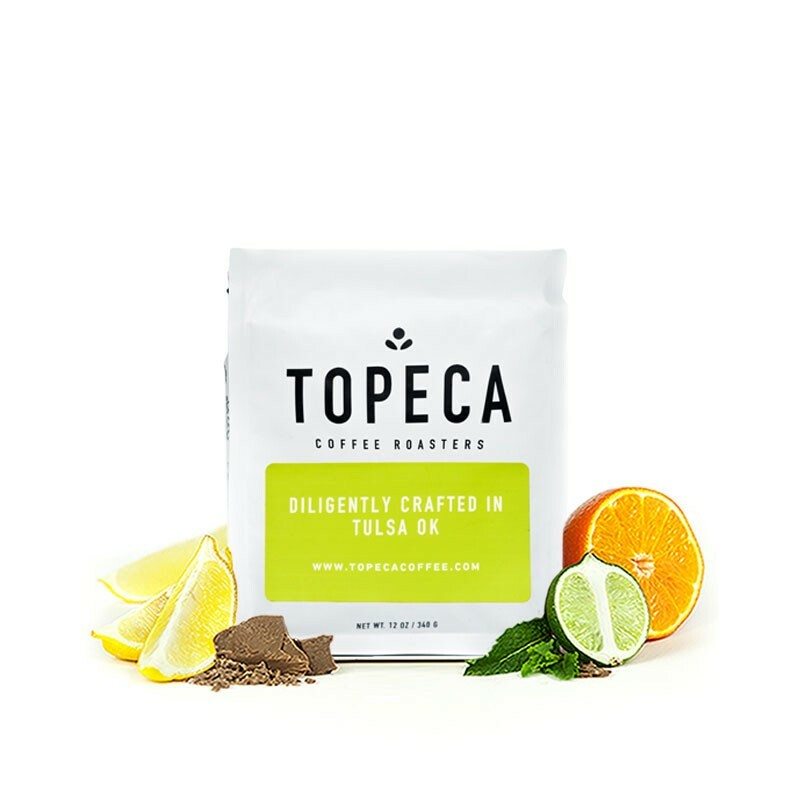 We expect Topeca Coffee Roasters will roast and ship this coffee in 1-2 business days depending on their roasting schedule. 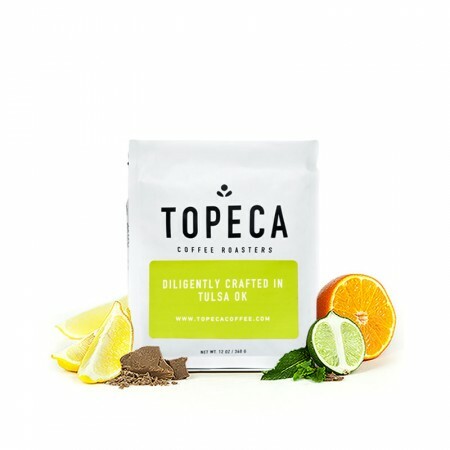 This is the Guatemala San Lorenzo brought to you by Topeca Coffee Roasters. This fully washed coffee was grown by the Luis Valdes in the Coban region of Guatemala between 1,310 - 1,525 above sea level. We love this coffee brewed as a pour over, like the Chemex or V60, to highlight its nuanced notes with a rich caramel sweetness and balanced, subtle fruit-like acidity. Subtle and delicious! The mild sweetness through the coffee was outstanding. The roasters did a really amazing job with this coffee; the cups we brewed were rarely bitter, and were sweet and fruity. Most of the bag was brewed on a V60, but we also tried an occasional shot of espresso with decent success. I would give it 4.5 stars if I could, it was a fun coffee to brew and drink! It was really good, enjoyed it! A bit bitter for my taste though. But still really great! Balanced and good. A pleasant break from the more edgy/acidic light roasts. This coffee was not better than the first costa rican I was sent. I greatly prefer ethiopian coffees. For me this coffee had flavors but no notes of anything subtle. Looking forward to the next one. This is a Goldilocks coffee: a pleasant acidity without slapping you in the face, smooth base notes which don't overpower. A great balance, I only wish it were a touch sweeter. I've had this coffee for a week now and have brewed 3-4 Chemex pots of it. I've enjoyed it. The sweeter citrus tones can come off a bit sour at times but, I admit, that may be due to my inexperience. I plan on adjusting my grinder to make the grounds slightly more coarse to see how that influences the taste. I'm also planning on brewing some in my french press. My husband and I loved the flavors and lightness of the roast. Very fruity and delicious, tasted very fresh. Love it! Nice light roast. I enjoyed this coffee a lot - the sweetness and acidity balanced pretty well though I wouldn't mind stronger fruity notes. That is, the balance was good enough that none of the flavors stood out very much. So far I've enjoyed every cup of coffee made with these beans. I liked this one a little more than my Onyx coffee. The flavor was slightly stronger and the roast was similar to what i usually have. It was a good cup of coffee but nothing much more than a "regular cup of joe." I guess that means it was too balanced and not enough flavor for my palate/preference. I could taste a difference from the awful burnt or tasteless coffees out there but I'm looking for more uniqueness. Initially put off by the "tangy" or citrus flavors this roast has grown on me. It's still not a favorite but it's definitely good and I've enjoyed trying something outside my usual palate. Solid coffee. Flavors had a nice balance and depth. Flavor profile didn't blow me away but it was an overall solid product. Really enjoyed this on the Chemex. We were able to tune it in after one brew and I enjoyed the sweet, citrus notes and juicy mouthfeel. I'm not typically into Guatemalan profiles but this one really worked for me. Topeca did a great job on this one. I generally brew a cup each morning on a V60, and on a Chemex on the weekends. So far, I've only brewed this on the V60 but I've been loving it! Definitely getting that caramelized sugar flavor, just a very sweet cup...not so much specific citrus, but definitely nice bright fruity notes. I was excited to try something from this roaster as I've heard of them before and I've already been bragging this up to my coffee loving friends. Great pick! I liked it but it wasn't amazing. Maybe was a little too balanced and subtle for me. I rate this coffee a 4 but really only because it wasn't really anything special but more of a flavor that is mild and delighting in the mornings. It is hard to put to words what I really think about this coffee. It is good but almost leaves you wanting more. Like just a tad more flavor or complexity. I mainly like it because it is just so smooth. Loved the flavor of this. Really clean, loved the caramel hints. Acidic without being a wallop of acidity. as it ages it gets better. initially I didnt much care for it but it sweetened the further it got from roasting as more gases released. I didn't like this one as much as the Onyx San Antonio. I'm getting a lot of green pepper savory-ness, which isn't my favorite. I've also had about 3 cups at this point, and very possibly may not have hit the sweet spot yet. Dozed 18g and pulled 30g of espresso at 202 degrees. My best shot had notes of citrus and flowers. The mouth-feel was substantial and not as tea-like as you would expect. It was perfect! I'll definitely grab more from this roaster. This coffee was a bit temperamental with the grind size and weight. My standard coffee bean weight that I implement in a pour-over is 22 grams to 350 grams of water, making a 1 to 16 ratio. If the grounds were too course, the cup tasted too water and fragile, none of the complexity coming through. After playing around I found that actually adding about 26 grams of beans at a finer ground consistency really brought out the nuances I was longing for. The first taste, the arrival, that you get is that very rich and almost earthy caramel trait, with just a hint of nuttiness. It really had a full mouth feel, complex and big. The back end taste definitely softened and you get a pleasant citrus finish. Not too tart, but fruity. I really enjoyed it with breakfast, paired with a silky, French-style omelet, or by itself as a midday pick up. I would recommend this for a more intermediate coffee drinker, as it was more temperamental than most roasts you would come across. Needs some hand holding to get those flavors out, but when you show it some love, it becomes a gift that keeps on giving. The coffee was okay. It was a bit too fruity and acidic for my taste. Although I enjoy a light roast coffee, my preference may fall between a light and medium. i think this is what they call bright and fruity in coffee parlance. i wouldn't really know because I've never tasted anything like this. is this really coffee? I really enjoyed this coffee. Flavor notes hit the nail on the head. It begins as a rich, ripe sip and cools into a sweet, citrusy juice. I used the Hario pour over method and the citrus profiles definitely surfaced. However, it was slightly too acidic and dried-out tasting for me. I usually love my coffee "black as the night on a moonless night" (courtesy of beloved Agent Cooper), but this one was hard to stomach after the first half cup. It was a bit too sharp. I'm looking for something more balanced, but still just as flavorful and complex. I'll try the Aeropress on this one next time and report back. All in all, though, the Guatemalan roasts are among my favorites. They seem to have the brightest tones, but there is definitely a delicate balance that is difficult to achieve with such complexities. A complex coffee with wine-like tasting notes that linger as you explore the richness of this lot. I tasted sangria, cherry, and dark citrus notes after brewing with a V60. Hints of bakers chocolate linger after the initial wine-like acidity. Although I tend to prefer bright coffees with a lighter taste to them, I thoroughly enjoyed the rich, sweet complexity of this product. If you like citrus, this is your coffee. This leans to the extreme right on the fruity scale...lemon, lime, grapefruit. The problem for me with this one is I don't taste the complexity or the balance of nutty or cocoa like I would expect from a typical Guatemalan. I also needed to play with it a bit (brew method, grind, ratio), which is okay, but don't expect to open this bag, grind it and brew it up and be completely happy with your first effort. So far I’ve landed on V60 (18:300, med/fine...18-Virtuoso), Clever (18:270, coarse... 26-Virtuoso). I like it, but I think I lean a bit more to the floral side. It's starting to grow on me a bit, but I have to be in the mood. This light roast worked great in my aeropress! A solid choice. nice, well-balanced coffee. I brewed it both as chemex and aeropress. I thought the aeropress made the fruit tones stand out more. very good coffee! love the flavor tones! a little acidic for my taste. overall a great coffee! Love how it made the entire house fragrant! What a difference than grocery store coffee! We loved how light and refreshing it was. Thanks Samantha for your selection! I really liked the balanced fruit acidity of the coffee which made it very smooth to drink, that smooth flavor is how I like most of my coffees. I thought that while the fruit flavor of the coffee was pleasant it was a little subtle - I think I would like something with a little more flavor. This coffee was good; however, I don't appreciate the complex caramel and sangria flavors as much as others might. Don't get me wrong, it makes a tasty cup, I've just had others that contain higher citrus and fruit-like notes that I enjoy a little more. Caramel and cocoa on the front end. The finish is somewhat acidic, which is nice. I can see why they mention citrus. Very smooth. The mouthfeel is nice. It has a decently full body. Overall i'd say this is a good "daily driver". It doesn't stand out in any particular way, but I would be very happy to drink 3-4 cups of this in a day. I used a Kalita wave to brew. It's pretty good, but feels a little thin. I tried upping the beans-to-water ratio and still didn't have the "fullness" I'm used to from a really great light roast coffee. Very balanced and smooth – we like it. Hard to pick out specific flavor notes though. Delicious overall. I just like coffee a tad sweeter. The sangria/red wine notes are a little stronger than preferable. Other than that I love it! I keep coming up with a sour cup. I'm grinding the beans a bit finer with every cup I brew. Half way through this bag. If I can get a great cup out of these beans I'll edit this review. One of my new favorites. Fruity and vibrant.